A record crowd for a futsal game in the Palau Blaugrana of 6,923 sadly didn’t get the result they wanted on Saturday evening, and the best-of-five Division of Honour playoff final will now go down to a decisive rubber match in Torrejón de Ardoz on Monday at 9.30pm CET. With Sergio Lozano injured from the first leg, Barça went a goal down after eleven minutes but hit back straight from the restart when Rafa López converted a Ferrao assist. A win for the Catalans would have clinched the LNFS title for the fourth time, but the likelihood of that happening took a knock a minute before the break when Inter Movistar regained the lead. 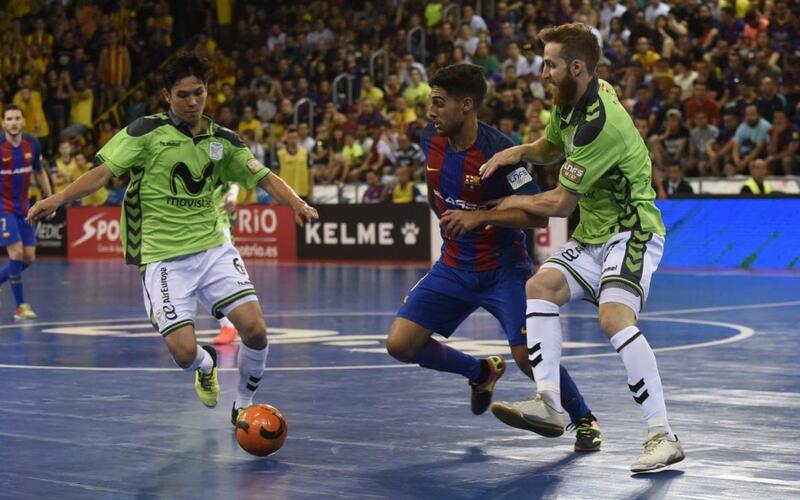 The second half was as intense as futsal can get, but Barça’s attempts to get back into the game were thwarted by two further goals at the other end. At 4-1 down, it was time for FCB to switch to using Dyego as rush goalie. The gamble didn’t pay off. With four minutes left, the visitors added a fifth, and a sixth a minute after that. This game was over, the third game in a row to end 6-1 in this topsy-turvy series. The teams will be back at it on Monday. And this time there will be no second chances.